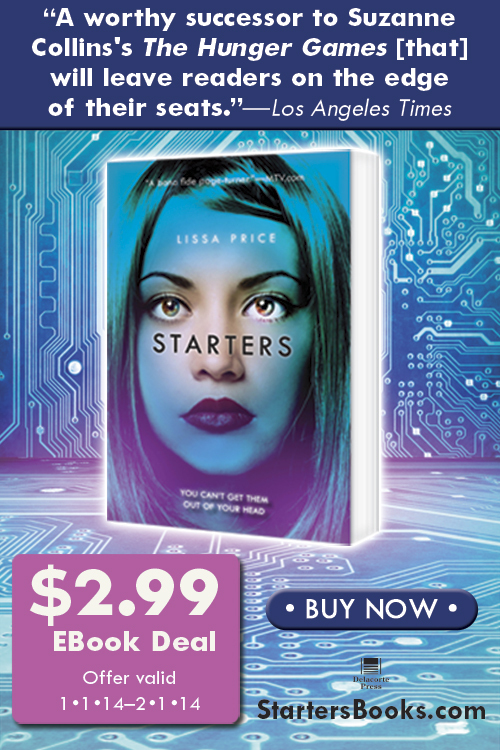 The Last Seven Days of the Starters Deal! 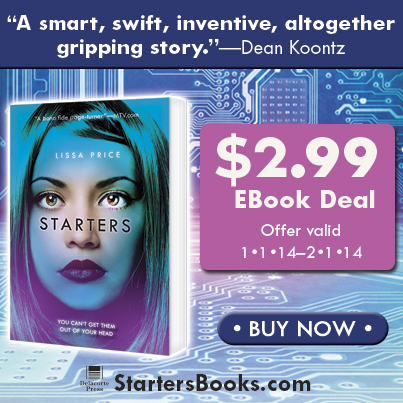 The special deal for Starters in e-format ends next week. So please copy one of these graphics and post it on fb, twitter, tumblr and tell your friends! Kindle, Nook, iTunes, etc. — when January ends, my publisher will put the price back up.